One of the best ways to improve the perception of your brand is to build up some social proof. 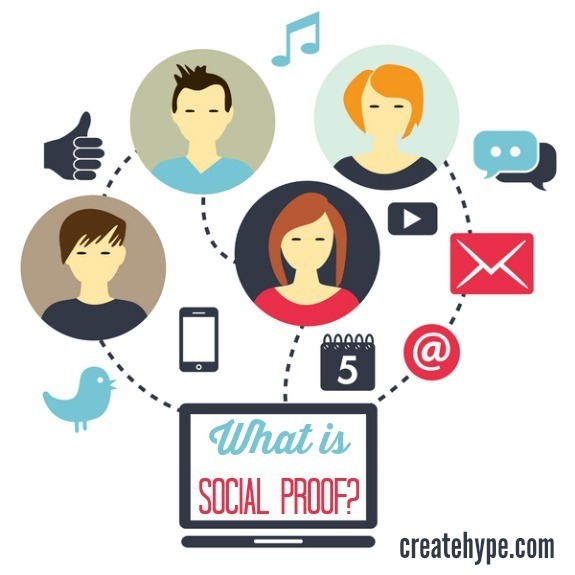 So, what is social proof? You want visitors to your site to perceive you as influential, and you want to encourage them to buy your products or services because it seems like an right thing to do. Wisdom of your friends: With this type of social proof, you have the approval of the people you know. Friends and relatives trust you, so their friends and relatives are willing to trust you. An endorsement or recommendation from someone you know can go a long way. Users: This is the type of social proof that comes from people who actually use your products and services. Putting testimonials on your web site, to show visitors that actual users of your products and services recommend you can go a long way. Potential clients and customers like to see what others think of you. Expert: One of the best ways to enjoy social proof is to get an endorsement from someone recognized as an expert or an authority. “As seen in” is a great way to use this type of social proof. If the local newspaper, or a major magazine has mentioned you, add that to your site. It creates a way for you to show that trusted sources are on board with you. This is one of the best ways to establish your legitimacy and credibility. Celebrity: An endorsement from a celebrity that others look up to and follow can also provide you with social proof that can go a long way. This is especially true if the celebrity endorses you without being paid to do so. And it doesn’t even have to be a national celebrity. You can go a long way in your local area if a regional celebrity endorses you. Social proof is about showing that others like and respect you… and that means that potential customers can feel comfortable buying from you. Another way to enjoy social proof comes from social media. When you have a Twitter counter that shows thousands of people are following you, it cues visitors to your web site that you are worth following. Seeing Likes on Facebook for a post encourages visitors to Like your latest blog entry, too. We are social creatures. When we see others, particularly large groups of others, doing something, we are likely to come to the conclusion that we should be doing it as well. You can use social media to help boost your social proof, but it also helps to have other types of social proof helping you out. When possible, try to get mention in mainstream media, or develop relationships with respected people in your field. That way, you will build up some social proof that can translate directly into sales for your business.